Marie-Therese Wisniowski works full time as a studio artist, researcher, author, curator, speaker & tutor and is the Director of Art Quill Studio, The Education Division of Art, Quill & Co. P/L at Arcadia Vale in New South Wales, Australia. She is on the Board of Directors of Art Quill & Co. P/L. She is a casual lecturer at the University of Newcastle, Australia. In 2009, she curated the inaugural international ‘ArtCloth: Engaging New Visions’ exhibition that was held at Fairfield City Museum and Gallery, Sydney, 29th August to 11th October 2009 which then toured nationally until 2011. She is the author of the books, ‘Not in My Name’ and ‘Beyond the Fear of Freedom’. Her written works have appeared in journals such as ‘Literature and Aesthetics’, ‘Craft Arts International’, ‘Textile Fibre Forum’, ‘Fibreline’, ‘Embellish’, ‘Down Under Textiles’ and ‘Quilting Arts’. She has also authored articles on websites such as ‘Pop Art Legitimizing Prints as an Art medium – A Generator of Future Processes and Art Movements’ for the Exchange Partners in Print Media website. In 2007 she was invited to be the inaugural guest editor of the international e-zine ‘HeArtCloth Quarterly’. 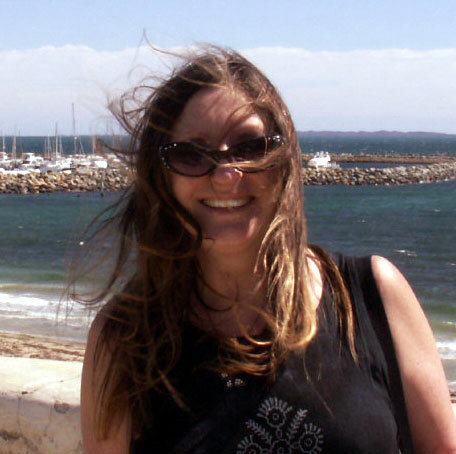 In 2013 she was invited to take up the position of Co-Editor of Australia’s flagship textile magazine, ‘Textile Fibre Forum’ by the publisher, ArtWear Publications. She specialises in the area of ArtCloth, artist printmaker books and limited edition prints. She has created signature techniques that she has named “Matrix Formatting” “Multiplexing” and “Low Relief Screen Printing (LRSP) in her silk screened works and “MultiSperse Dye Sublimation” (MSDS) in her ArtCloth works using disperse dyes on synthetic fibres. She has conducted workshops and lectures on these and other techniques which she tutors at international and national conferences, forums, textile/print groups and in university courses. Her current work explores contemporary post-graffiti, socio-political and environmental issues. Some of the additional techniques she employs to create her complex multi-layered artworks on natural and/or synthetic fibres include dyeing, discharge, stenciling, stamping, hand painting, digital imaging, dye sublimation and silkscreen printing. Her ArtCloth works and installations, artist printmaker books and works on paper have been featured in books and journals such as the authoritative reference book ‘Textiles: The Art of Mankind’ by Mary Schoeser, journals such as ‘Imprint’, ‘Textile Fibre Forum’, ‘ETN Textile Forum’, ‘Down Under Textiles’, ‘Fibreline’ and numerous international and national exhibition catalogues. Her ArtCloth, artist printmaker books and works on paper have been widely exhibited nationally and internationally and are held in major public and private collections in Australia, Canada, England, Hong Kong, Ireland, Netherlands, Scotland, Sweden, Thailand and the USA. She has received numerous international awards for her printed fabric lengths and wearable artworks e.g. Honourable Mention, 20th Annual ‘Quilt Surface Design Symposium 2009 Fabric Show Competition’, Columbus, Ohio, USA, Awarded by juror Sue Benner, USA. In 2013 she was nominated as a Finalist in the inaugural 2013 Australian Craft Awards.